The Champion Sports Uniform Belt adds just the right finishing touch to any baseball uniform! 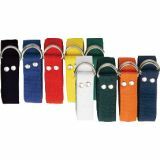 These adjustable adult size belts are made of durable elastic with a full-grain leather tab. Adult Elastic Belts Adjustable to 32"-46"
The Champion Sports Football Belt is a 1" nylon belt with a double D ring for a secure fit. 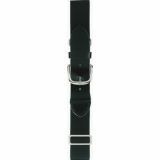 This one size fits all belt comes one dozen, black. The Champion Sports Uniform Belt adds just the right finishing touch to any baseball uniform! These adjustable youth size belts are made of durable elastic with a full-grain leather tab. 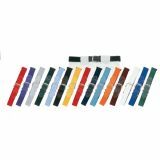 Youth Elastic Belts Adjustable to 18"-32"